Warm weather is coming... and so are the mosquitoes, ticks and weeds! 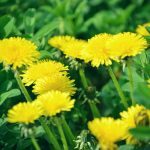 - SeaScape, Inc.
Home Blog Warm weather is coming… and so are the mosquitoes, ticks and weeds! After a long winter, spring is here. As the weather warms up and you start to spend more time outside, pests of all sorts begin to emerge. 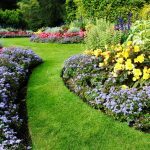 From weeds to ticks, SeaScape can help keep you and your landscape healthy. If you have been outside, it’s likely you have already seen some ticks and mosquitoes. Controlling these insects before they bite you can reduce your exposure to harmful diseases. Did you know that YardGuard can help control ticks and mosquitoes? 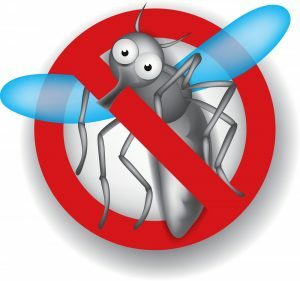 Our mosquito control applications are just $69 per month (up to an acre). These treatments greatly reduce mosquito populations, making your time outside more enjoyable. 4 yearly applications of YardGuard’s tick and flea control significantly reduce the tick population and your risk of getting bitten on your lawn. Our tick and flea applications will help keep these pests out of your lawn and off of you and your pets. Please contact our office for more information and pricing. Many of trees and shrubs are finally starting to flourish after the long winter. You may notice that there are some issues with your plants. Did some shrubs fail to flower? Are there dried out spots on leaves? Do you notice scabbing on trunks? TreeSolutions can help! Our licensed arborists can come and take a look at all of your landscape plants and trees to determine any issues and how to maintain their health. Contact our office for a no-charge estimate for disease and pest control solutions for your trees and shrubs. Our techs are seeing and treating broadleaf weeds. Now that the soil and air temperatures have warmed up, weeds are more prevalent. If you see weeds between applications, please call our office at 1-800-294-5296 or send us an email. We’ll come out to get them treated. It’s time to start mowing. For the health of your turf, please keep your lawn at 3-3.5 inches tall. Longer grass means longer roots. Taller grass also helps keep weeds and crabgrass at bay. When you mow, please leave lawn clippings down. They will nourish your grass as they decompose… and it’s easier on you! Have a walk way that needs some guiding lights? A beautiful tree in your yard you want to highlight? A patio that could use some ambience? ? Our newest division, Nite Time Décor, can help. The same great Chirstmas Décor techs who beautifully light your home for the holidays now offer landscape lighting solutions. 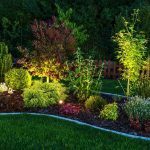 The right lighting can transform your yard, enhancing its beauty and making it more enjoyable long into late summer lights. From lit walkways to up lighting trees, our trained lighting specialists can help you complement your yard with lights. Please visit our website for more information, or to schedule a consultation.